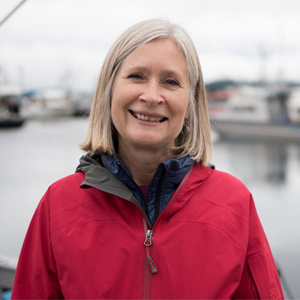 Andi Story has lived in Juneau for over 30 years, raising her three children Ellen, Mallory & Ryan while her husband Mike ran a small engineering firm. She served on the Juneau School Board for 15 years, and has regularly advocated for increased focus on education and equity in Alaska schools before the legislature, as a co-founder of Great Alaska Schools, and as president of the Alaska Association of School Boards. Andi has a Masters in Social Work, and volunteers with the P.E.O. and the Northern Lights United Church. She enjoys walking outdoors, cross-country skiing, and time spent with family and friends.